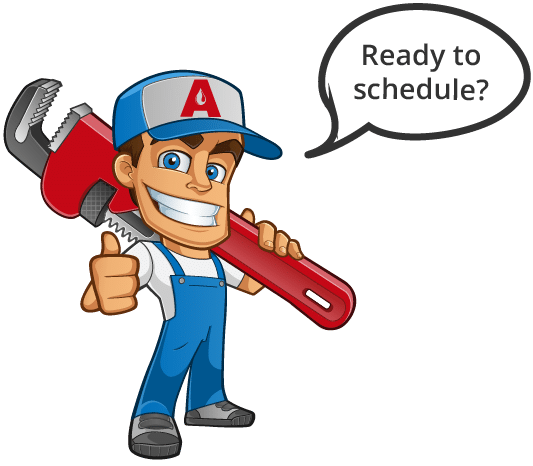 Our team of consistently and professionally trained plumbers in Iowa City, IA has successfully unclogged more drains, installed more toilets, fixed more pipes and attended more plumbing needs than we can remember. Luckily, we have a whole collection of reviews from our customers to keep as a record. Check out what we’ve done for your neighbors! Quick service, friendly and knowledgeable employee, rates on par with others in the area. I would definitely call them again. The best service ever. Dale fixed it very well after other plumber couldn’t get the job done. I recommend this wonderful company to any one that needs the job done fast. We have been very happy with our experience! AP is clean, professional, honest and timely, 4 attributes that are missing in a lot of service industries today, but not here! We have been extremely pleased with their professionalism and service. They are very easy to work with and go the extra mile to take care of their customers. With fifteen years of experience under our belt, we know how to provide plumbing services for each particular need in any part of the house. Your installations, repairs and maintenance are handled by trained professionals that are kept up to date with ongoing training. You can relax knowing the service will go as planned. Plumbing needs rarely come at a convenient time, so we like to do what we can to make the process easier for our customers financially. We offer plumbing coupons as well as major benefits and discounts through our Total Care Club for all your plumbing maintenance needs. You get the same great services for a discount price. Be sure to check with us regularly for the latest specials on our professional installation & repair services. We aim to help out the community every chance we get! What’s the number one way to prevent the majority of plumbing breakdowns? By having routine maintenance performed. Join Ackerman’s Total Care Club and receive multiple benefits while you have your plumbing maintained by the experts. We knew we could deliver our promise of 100% satisfaction when we saw our business explode exponentially within our first year. Since then, we have kept up with the demands of residences all over the Iowa City and Williamsburg areas. When something needs replaced, repaired or maintained in your plumbing, we’ve made a name as a reliable choice. We’re equipped to handle any plumbing situation, all made possible because of our professional, courteous plumbers. We’re a committed team. Scheduling with us is a breeze. We’re properly licensed and qualified. Your situation is under control the moment you reach Ackerman Plumbing. Whether you need a simple replacement or your plumbing has created a fiasco, we are here for you with courteous service. Every service comes with a 100% guarantee, so you know you’re getting quality.